We all know that "you are what you eat." And once you conceive, your baby is what you eat as well—prenatal health and nutrition during pregnancy is so imperative! The US is one of only eight countries in the world where the rate of mortality for pregnant women is on the rise, and obesity is one of the primary causes of this phenomenon—half of all pregnant women are considered overweight. Widely accepted, doctor- and dietitian-prescribed nutrition guidelines actually may be contributing to the growing obesity and gestational diabetes epidemics. Newly expectant mothers receive a packet of health information from their doctors, including a nutrition pamphlet, which proscribes a daily food regimen with 100 grams of sugar per day—the amount of sugar in 10 glazed donuts! 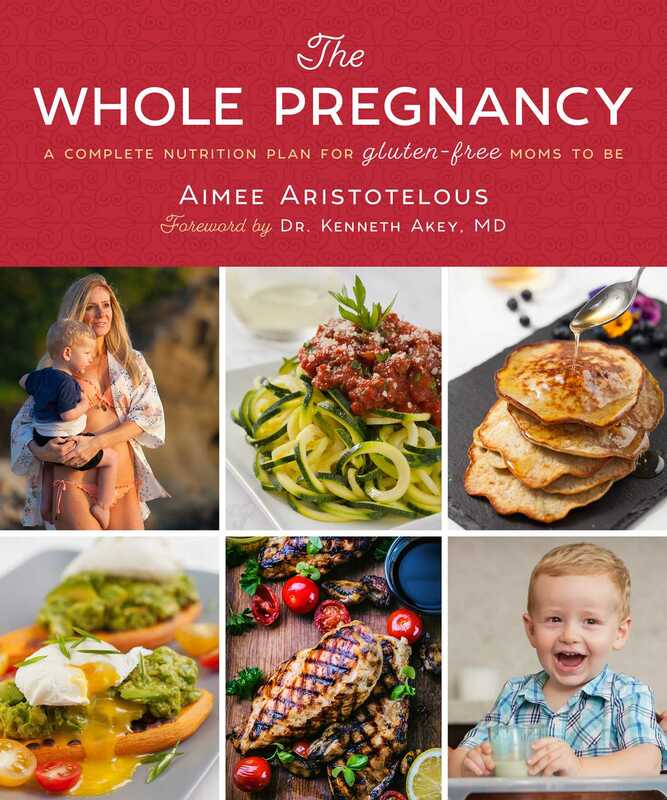 Aimee has developed a comprehensive nutrition guide that helps expecting and postpartum women achieve ideal health and weight during pregnancy and beyond. Implementing philosophies of current, highly-effective gluten-free nutrition trends that have not been fully introduced to the prenatal and postpartum populations, The Whole Pregnancy offers a detailed dietary regimen that is based on whole and unprocessed foods, low-glycemic carbohydrates, quality proteins, and essential fats. Developed by a certified nutritionist and OBGYN, the meal-planning system presents a variety of simple, delicious recipes to benefit mother and baby. It also provides special instruction for each stage of pregnancy, including the first, second, and third trimesters, as well as the “fourth trimester” of postpartum weight loss and nursing. Aimee Aristotelous, co-author of The Eat to Keep Fit Diet, is a certified nutritionist, specializing in prenatal dietetics. She provides weekly fitness and nutrition tips to her 22,000 Facebook followers and has been the exclusive nutritionist for NBC affiliate KSEE 24 News in Fresno, California, appearing in over 50 nutrition and cooking segments. As a new mother, Aimee was able to use her own pregnancy as a platform to apply her educational background and research, which resulted in an optimally healthy, active, and ideal pregnancy. During her pregnancy, she was hired by the company “Belly Bandit” to model a line of their pregnancy lingerie. In addition to her Nutrition and Wellness certification through American Fitness Professionals and Associates, Aimee has a bachelor’s degree in business/marketing from California State University, Long Beach. She has nine years of professional marketing experience for a large, private California-based company. Aimee enjoys the beach, cooking, and traveling, and resides with her husband and son in San Juan Capistrano, California.